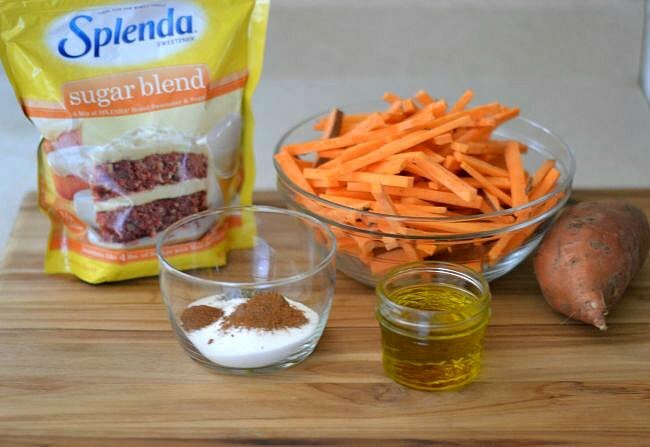 Disclosure: I made this delicious Sweet Spicy Sweet Potato Fries recipe using SPLENDA® Sweeteners as part of a sponsored post for Socialstars #SplendaSweeties #SweetSwaps . All opinions are my own. This month is the start of a five month partnership with SPLENDA® Products. I’ll be bringing you some delicious #SweepSwap recipes using a variety of SPLENDA® Sweeteners. 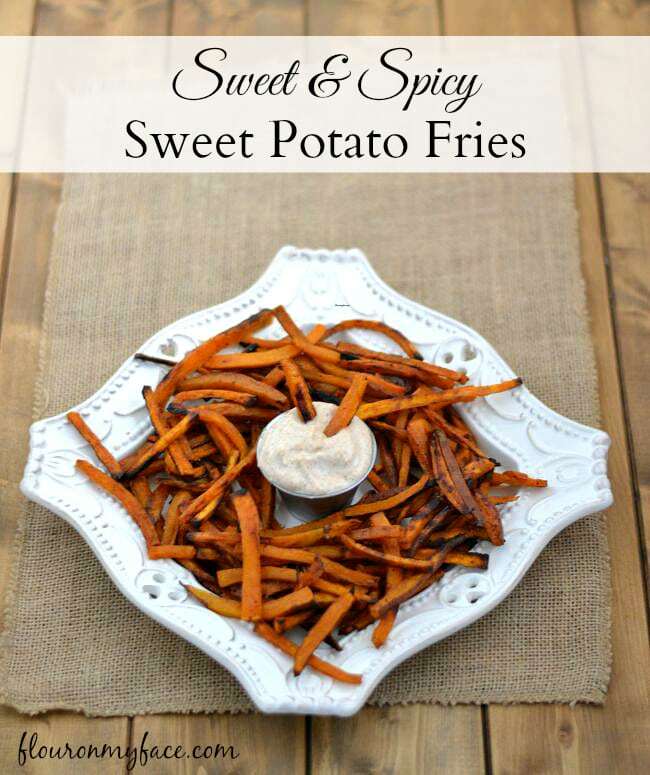 This Sweet Spicy Sweet Potato Fries recipe is one I like to enjoy when I am craving a sweet snack. No matter what the reason may be that you need to cut back on your sugar intake I don’t think you or I should have to forgo recipes that include a sweetener. You can still enjoy all your favorite sweet recipes by swapping regular sugar with one of the SPLENDA® Sweeteners. SPLENDA® Sweeteners offers the sweetness of sugar, without all the calories! These Sweet and Spicy Sweet Potato Fries have just the right amount of sweet and spicy flavor. I made a Sweet & Spicy Ginger Mayonnaise to dip them in but you can use any favorite dip you like or just eat them by themselves. What I love about these Sweet Spicy Sweet Potato Fries is that the ingredient list is short. You probably have all the ingredients on hand except maybe the sweet potatoes. Cut the sweet potatoes into sticks. Mix together the SPLENDA® Sugar Blend, cinnamon, ground red pepper , and black pepper. 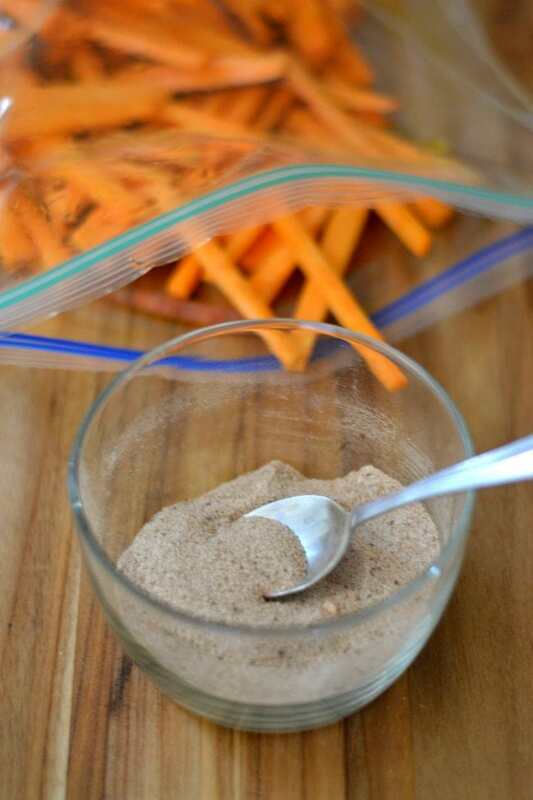 Put the sweet potato sticks into a gallon size bag. 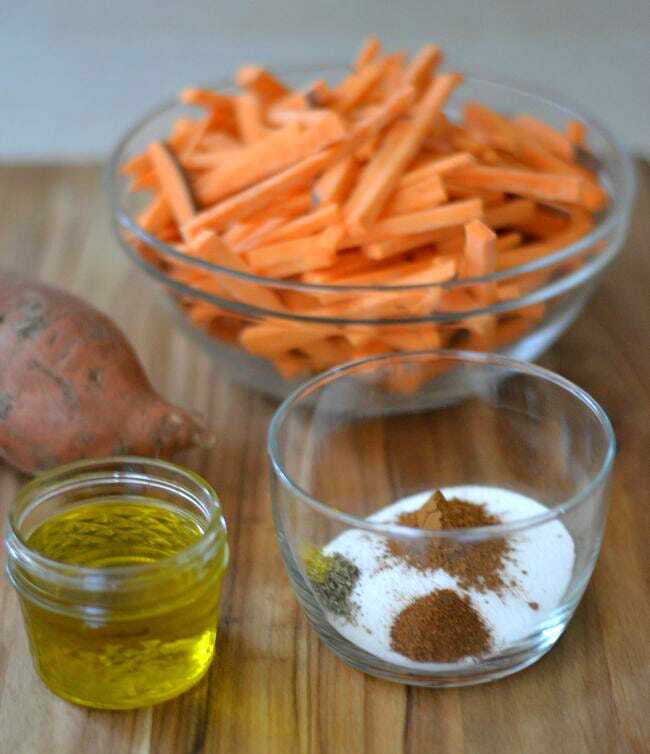 Pour the olive oil into the bag, seal and shake to coat all sides of the sweet potato sticks. Open the bag and pour in the SPLENDA® Sugar Blend and spice mixture. Reseal the bag and shake to coat with the seasonings. 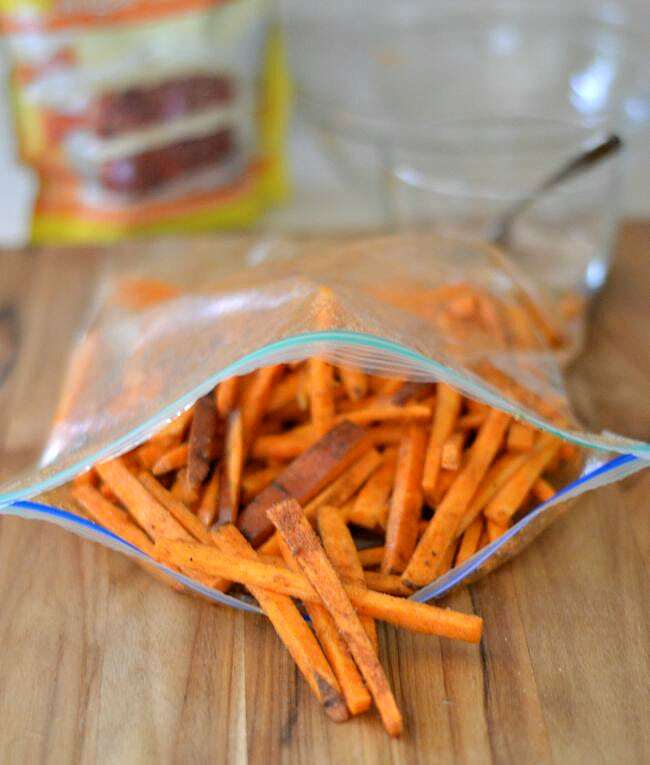 Spread the sweet potato fries on a large baking sheet that has been covered with a sheet of parchment paper. Sprinkle the fries with sea salt. Bake in a preheated 450 degree oven for 20 to 30 minutes or until the sweet potato fries are cooked through and golden brown. Half way through the cooking time toss the sweet potato fries so they can brown evenly. 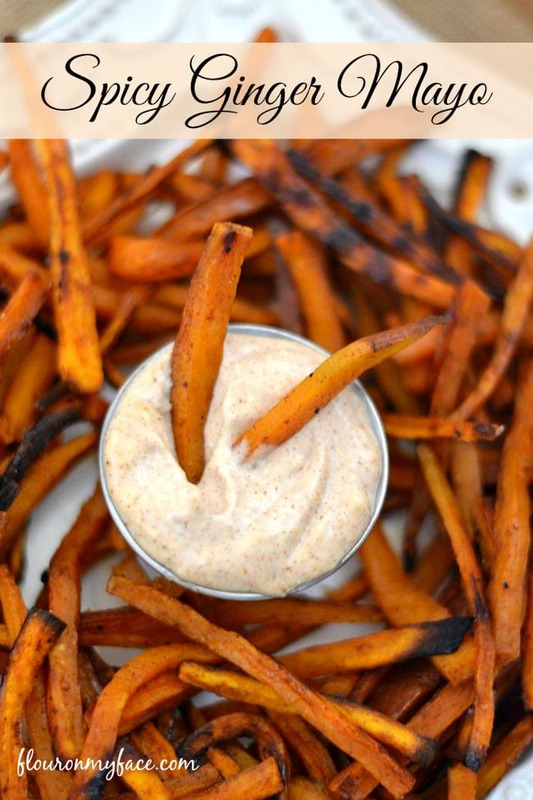 Serve the Sweet & Spicy Sweet Potato Fries with Spicy Ginger Mayo or your favorite dipping sauce. SPLENDA® Sweeteners are versatile, and can be used in baking, cooking, AND beverage mixing. The Sweet Swaps program is dishing out hundreds of ways to save calories by swapping full sugar for SPLENDA® Sweeteners. Serve with Sweet & Spicy Sweet Potato Fries.